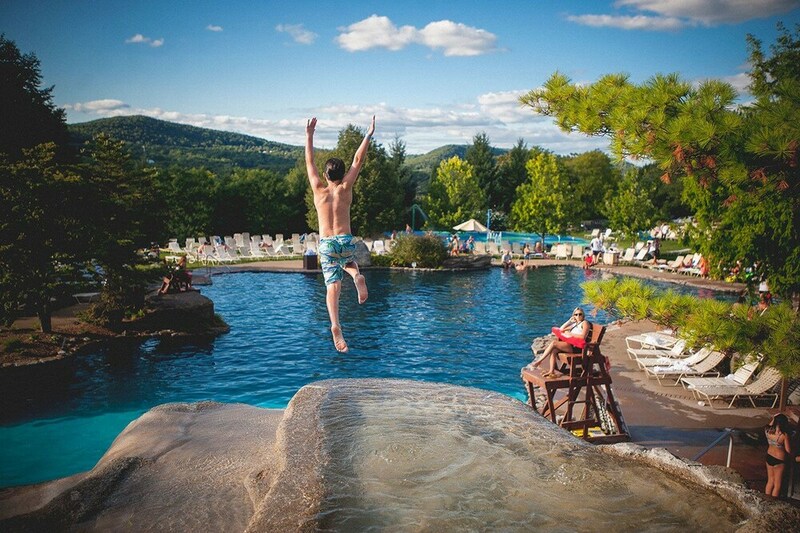 Within 2 miles (3 km) of this well-placed resort, you'll find Mountain Creek Ski Resort and Mountain Creek Waterpark. Also, Granite Peak Quad is within half a mile (1 km) and Hidden Valley Ski Resort is within 6 miles (10 km). A water park, a health club, and a restaurant are all featured at this resort. An outdoor pool, an indoor pool, and a spa tub are also on offer. The property is old and beat up. The air conditioning in our room sounded like a Mac truck all night. The beds are awful. I'm not coming back unless they completely renovate. Apr 1, 2019 by Nicole S.
Robyn, Thank you fo taking the time to write a review. I would like to apologize for any inconvinces that occurred during your stay. 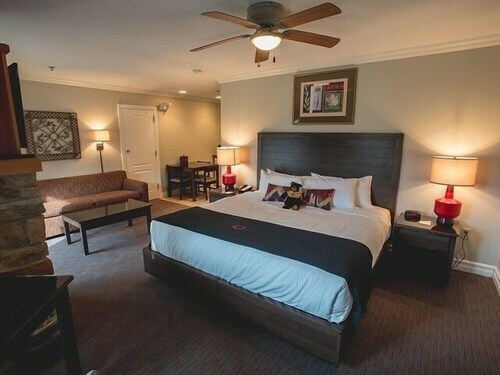 The rooms were actually remodeled in February of 2018. 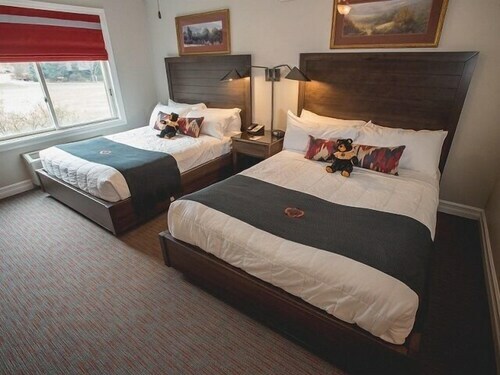 As for the beds we do offer a pillow top that housekeeping can apply if your find the mattress is uncomfortable. Thank you again for staying with us. Beautiful views, great staff and very attentive. Tracy at the front desk was amazing when checking us in early! 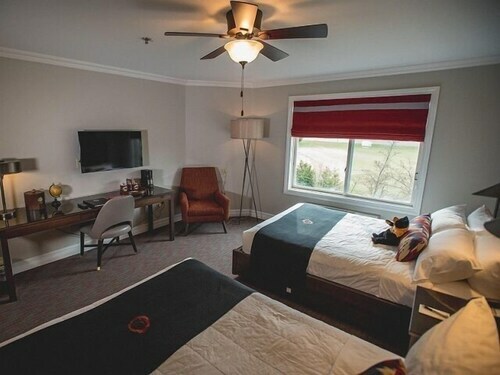 Mar 27, 2019 by Nicole S.
Great hotel with lots of activities! Loved the hotel, definitely wasn't what I expected. Beautiful view of the mountains, great overall look inside. Lots of activities to do! Took a weekend getaway for a birthday celebration and had an Amazing time. Definitely will come back with more time on my hands to do much more. Worth it for the pools! We stayed for two nights & really enjoyed the pools. They were heated, not too crowded, & open late. The area around the outside pool could have been cleaned (there were empty beer bottles & cans on the ground). The sensation of swimming in the warm outdoor pool when it was 15 degrees out was great! This hotel had an excellent and friendly staff. 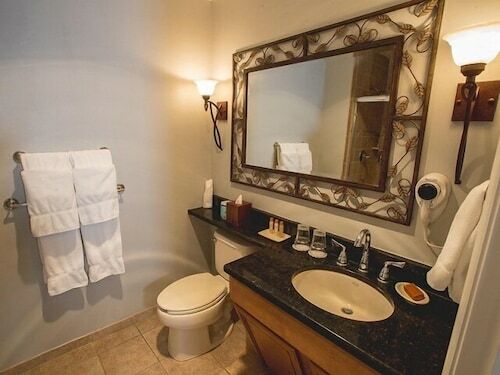 I was very pleased with my stay at the Minerals Spa Resort. It was such a relaxing trip. 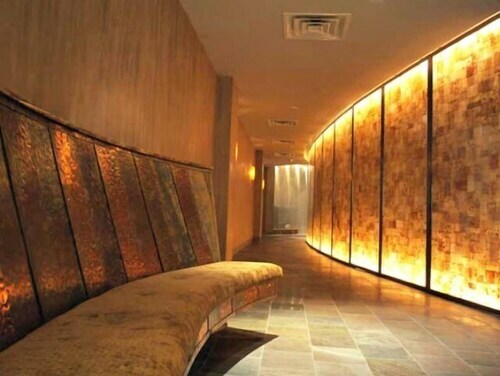 I had a couples massage at the spa and it was the best spa I have been to. They went over and above with their services. The food was great too! I thought it was great that we could use the pool even before we checked in as well as the next day after we checked out with the bracelets we were given for the day. If I had one thing I wish was better, I would have liked the pools to be cleaned a little more. The heated pool outside looked very foggy, I did not go in that pool. Overall, I would go back again next summer, it's worth the money! We arrived early and were able to get into our room right away. Also, we asked for a late check out and was accommodated for no additional charge! Very nice place to stay. Very much enjoyed swimming in the heated pool OUTSIDE with the snow all around! Was a very nice relaxing experience. Since we were only staying at the hotel for one night, we arrived earlier than the check-in time of 4:00. Since our room was ready they allowed us to check-in at 1:30! Very accommodating at the front desk. We had reservations for dinner at Latour and they happily arranged transportaion for us. After dinner we enjoyed the outdoor pool. It was wonderful being in the 90 degree water and seeing the snow all around us and the stars in the sky! Even though it was a holiday weekend and there were quite a few people in the pool area, it was not the least bit congested. 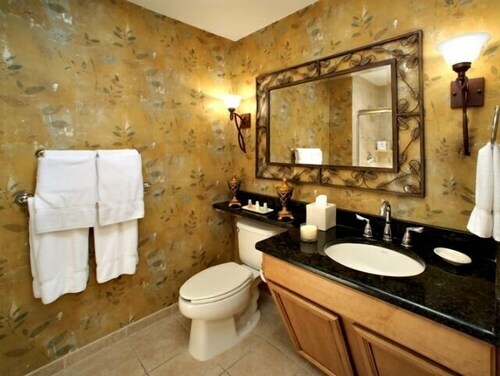 We requested a late check-out on Monday and were told that it was no problem and at no extra cost! It was a great stay.... wish it could've been longer, but we will definately go back! Great experience and Latour Restaurant is the ultimate. Even took the wine cellar tour....unbelievable! Place was really nice, we enjoyed as a couple, but could have brought our kids. Outdoor pool was a blast, was snowing, beautiful views. The shuttle to Mountain Creek is worth it, drops you right in front versus parking and walking over the bridge. Room we rented was great and recommended from our friends. 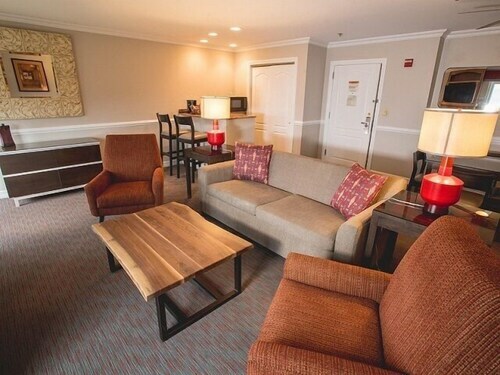 Was a corner room which had two TV's and the largest square footage (ROOM #357, you have to ask for it when booking). Overall great experience. Nice hotel ! We 'll go back again! We had over night vacation sunday after 4th of july saturday. They let us checked in early around 1pm without any charge, pool was heated nicely and clean. My son loved so much and didn't want to leave! That sunday was very empty so we had a quiet nice dinner and went to swim till 10pm. I saw the beautyful sun set over the mountains from the heated and lights up pool!! We'll go back again soon! A few weeks ago due to stress and my birthday, my husband booked a one night stay with spa services at this hotel. I don't like traveling alone, but I was told I needed some time to myself and I'm so glad I did. I wish I could afford a birthday present like this every month, Lord knows, women need it and we deserve it. The travel to the hotel was easy, I did get a a GPS for my birthday so I didnt' get lost, but if you don't plan your trip, you could get lost in the scenary and make a wrong turn. My suggestion to all the ladies like me, call the hotel- I did- and do the mapquest and have a GPS. 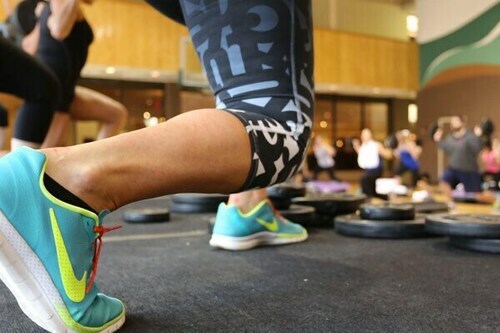 Why worry if you're going to get there, it all helps. So I arrived way too early, check in is not until 4pm, so I went to the desk and shyly asked if I could be an early guest. The woman behind the desk smiled and said ""but of course and you have a late checkout because you booked spa services"" Ha! I didn't even know that! I went up to my room. 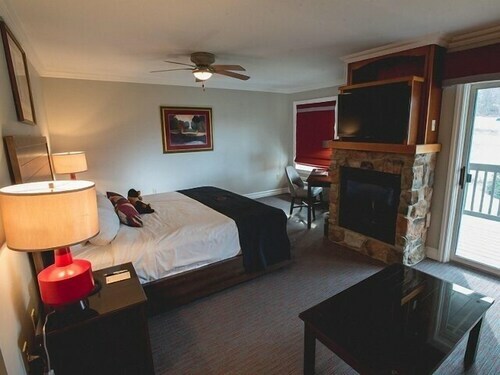 A Luxury room, a king bed all to myself, a fireplace, a balcony overlooking the mountains. Ah....I thought...""i can stay here"". I had room service for lunch, and by 3pm I was getting my massage. It was the best 50 minutes I've had in a long time. I didn't want it to be over. So I called my husband and told him I was booking another service. That night I went swimming in the outdoor heated pool. I could see the stars, it was magical. Thank you to the hotel and to my husband. A birthday I can't forget. There's a restaurant on site. 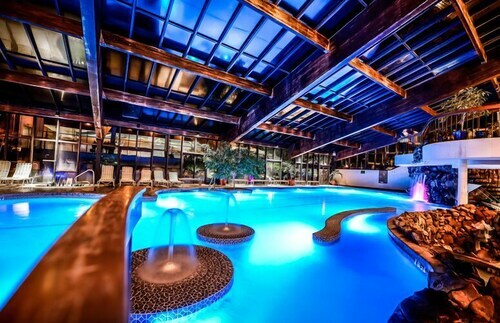 Minerals Hotel offers its guests a water park, an indoor pool, and an outdoor pool. 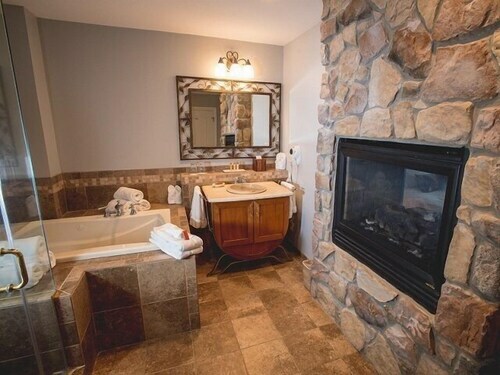 A health club, a spa tub, and a sauna are also featured at the business-friendly Minerals Hotel. 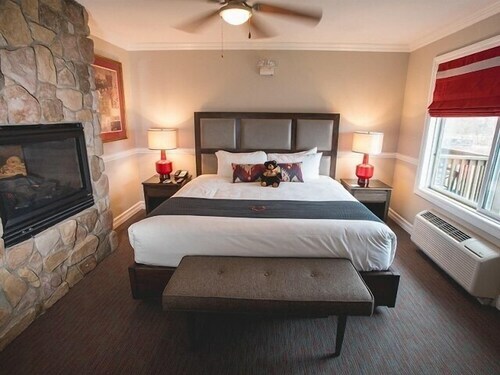 Minerals Hotel offers 175 accommodations. Beds feature premium bedding. 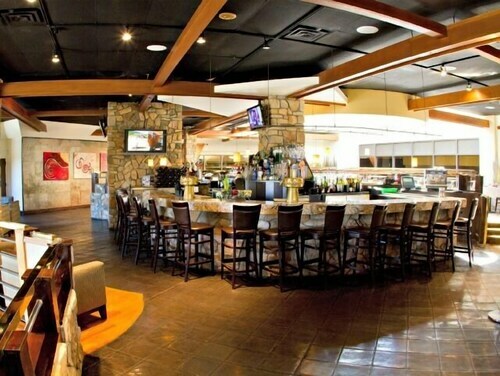 Kites Restaurant - This restaurant specializes in American cuisine and serves breakfast, lunch, and dinner. A health club and a water park are featured at the resort. An indoor pool, an outdoor pool, and a spa tub are on site. Other recreational amenities include a sauna. Cozy Vernon Condo-deck, Mountain Views & Fire Pit!